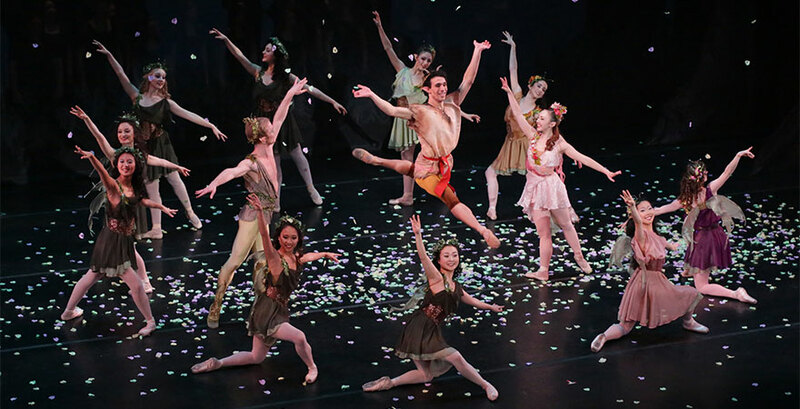 American Repertory Ballet brings its magic back to State Theatre New Jersey on October 13 with its dance version of Shakespeare’s bewitching comedy, A Midsummer Night’s Dream. Choreographed by ARB Artistic Director, Douglass Martin, and set to an enchanting score by Felix Mendelssohn, the ballet brings to life the joviality and magnificence of the beloved play about feuding lovers, mischievous fairies, and an amusing troupe of amateur actors whose stories intertwine in a magical forest. The two ballet versions of A Midsummer Night’s Dream most familiar to audiences are those by Sir Frederick Ashton and George Balanchine. Martin retells the story in ways that past versions have not, staying true to Shakespeare’s work in his commitment to representing each character’s full narrative. Whereas both Ashton and Balanchine’s versions skip to the “dream sequence” of the play, Martin uniquely provides the backstory that leads the characters to this point of the play. This retelling provides the audience the special opportunity to be moved not only by the artistry of American Repertory Ballet’s talented dancers, but by a greater emotional connection to each character and ability to more easily follow the events occurring onstage. Mendelssohn’s music alone is a masterpiece that transports us to Shakespeare’s magic-filled forest, from the start of the overture, with four sparkling, scene-setting woodwind chords, to the familiar tune of The Wedding March towards the end of the second act. With the addition of ARB’s elegant dancers, colorful costumes, and set, Midsummer is a delightful spectacle to be seen! Come experience the magic of A Midsummer Night’s Dream live at State Theatre New Jersey on October 13, 2016 at 8pm!